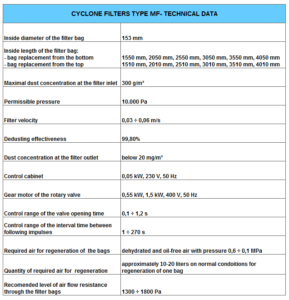 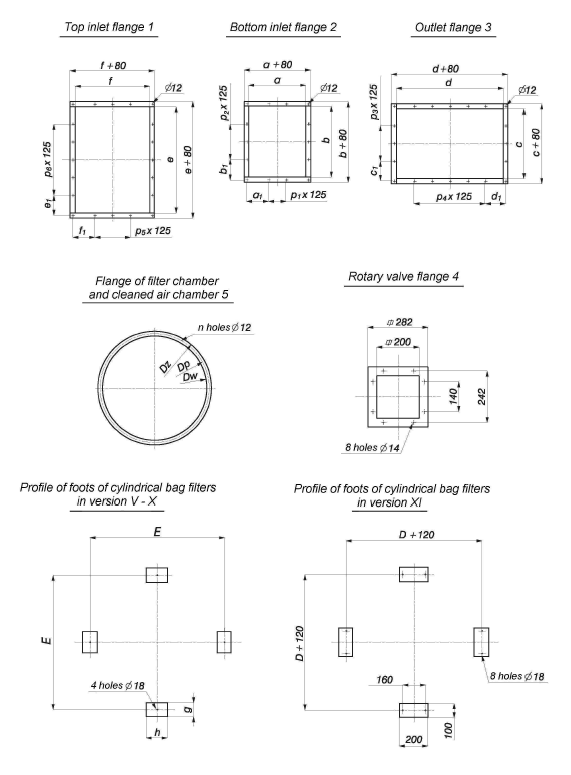 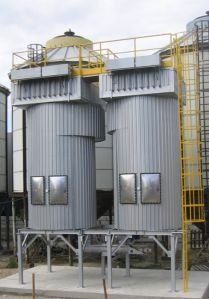 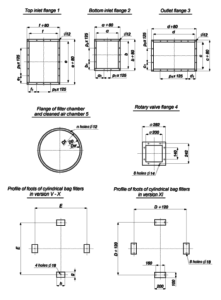 Cyclone filters are bag filters which are combination of cyclone and pulse jet filter. 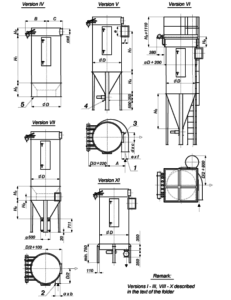 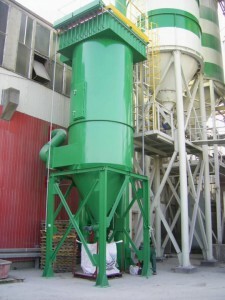 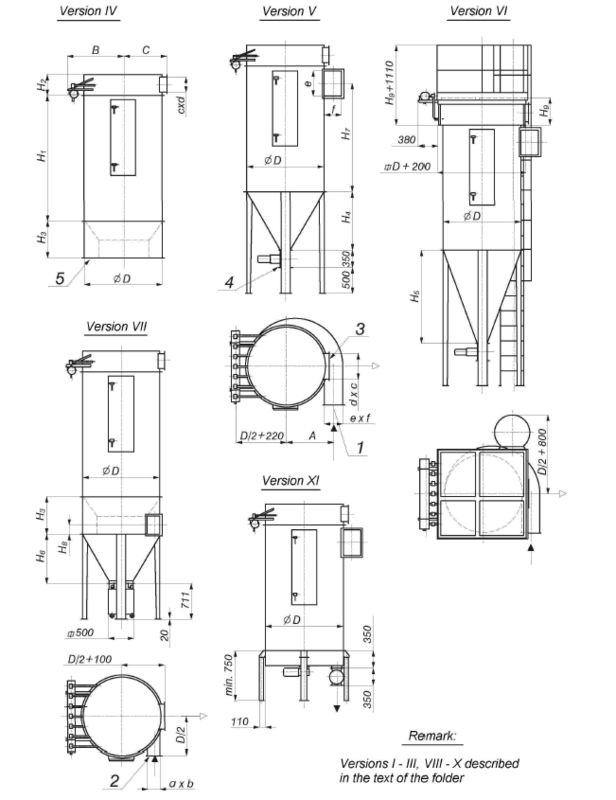 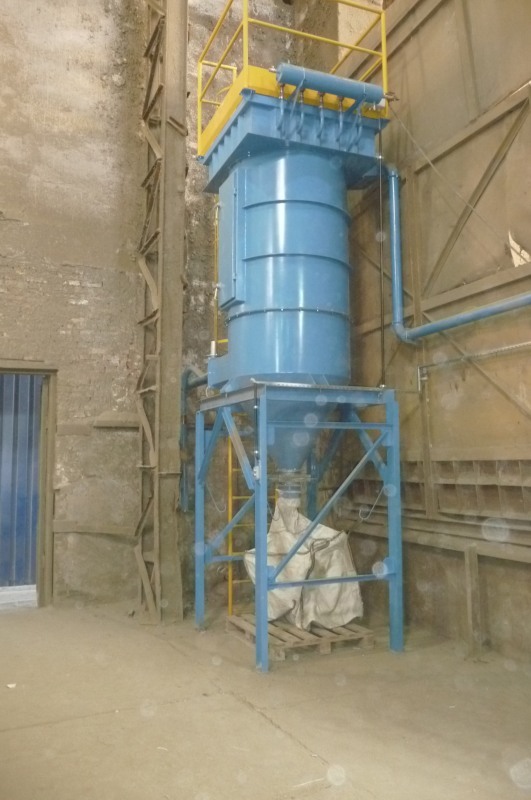 It’s operation is based on two-stage separation of solid particles. 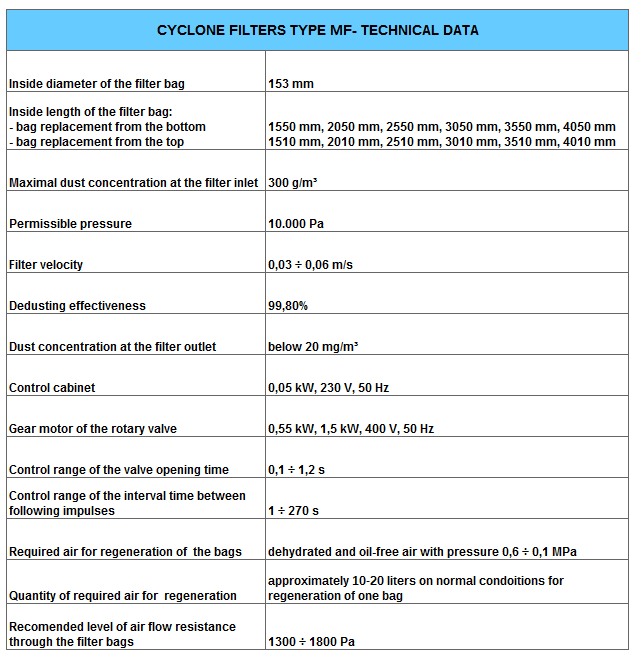 Dusty air enters the interior of the housing cyclone filter where coarse fractions are precipitated in the lower part on the centrifugal force which makes them move downward from where they are disposed on the outside. Dust particles will settle on the surface of the filter bags forming a layer of dust on them. 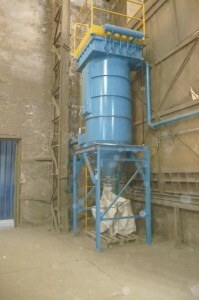 Dust is removed from bags by compressed air pulses directed to each bag.